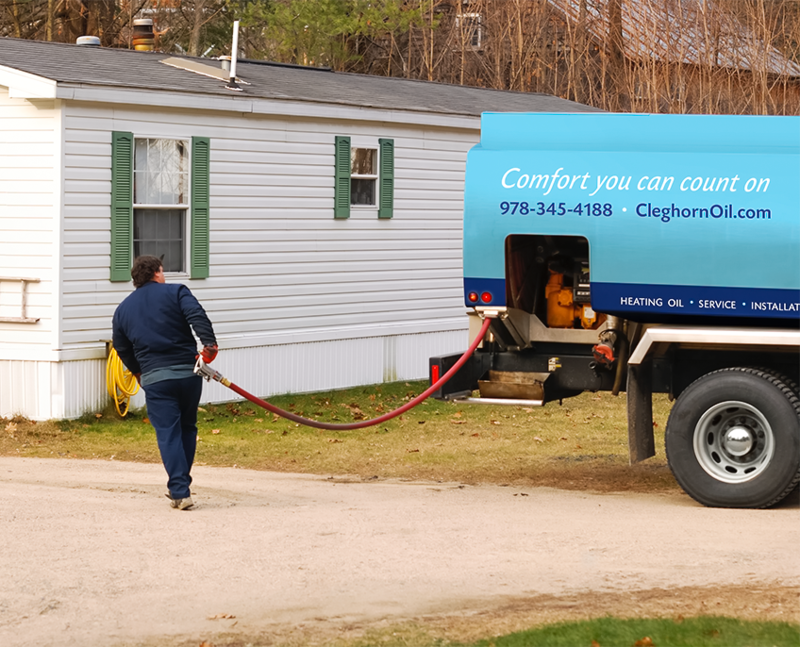 We at Cleghorn take pride in the heating oil we deliver to our customers. In fact, we treat our heating oil with a premium additive that improves the performance of your furnace and boiler. What happens is that heating oil can break down over time, form sludge, and clog your system. Our additive dissolves all that and lets the oil flow freely, protecting your tank and maximizing efficiency. You deserve to have stress-free comfort. That’s why, in addition to protecting your tank, we operate multiple bulk storage facilities so you’ll always be stocked and re-stocked when the time comes. Make the switch today and see why Cleghorn Oil by Peterson is right for you. Since 1923, Cleghorn Oil has been committed to serving families and businesses in Central Massachusetts and Southern New Hampshire. We're dedicated to our communities and families who live there. That's why our delivery and services teams are experts in running your home efficiently throughout the seasons. We deal with only the most high-efficiency equipment from the best heating and cooling manufacturers in the U.S. We ensure you and your family are comfortable, 24/7.